Original photo taken in 1993 on Kodak TRI-X film. This didn't start out to be the first blog post of 2013, but the more I thought about it, the more I felt that this is a perfect project to start the New Year. 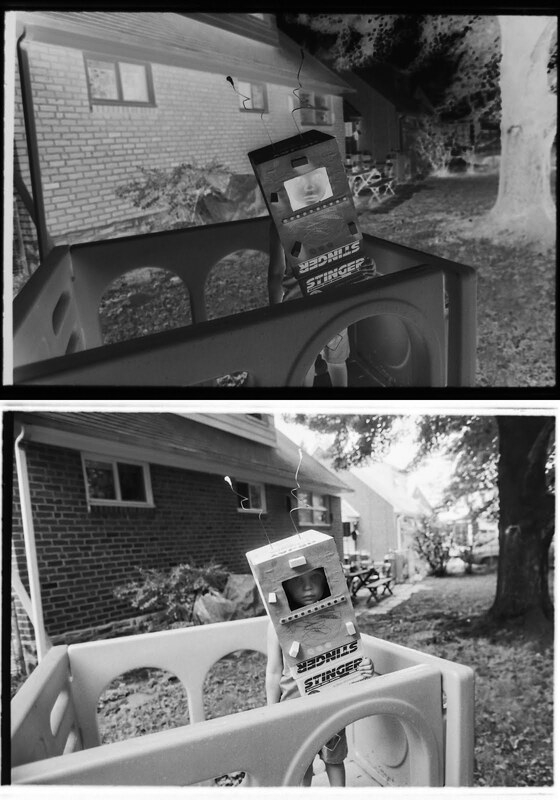 If you are a photographer of a certain age, you can relate to the thousands of negatives and slides that fill binders and boxes under my eaves. You remember those days don't you? You'd shoot roll after roll of film, have it processed and printed and in the end, file away all those negatives and maybe some 4x6 inch prints in shoe boxes or albums that rarely were opened or looked at again. 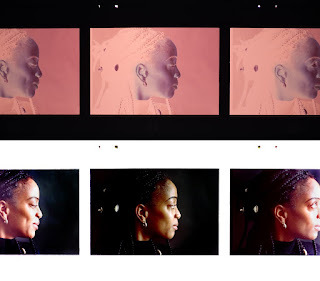 When I purchased my first negative scanner in 1994, I would have the color film processed and sleeved, then spend hours at the computer scanning selected frames. Many of those scanned images still live on old hard drives or Zip disks and are not of the highest resolution. But I'm getting ahead of myself, because if you really are a photographer of a certain age, you shot black and white film, processed it in the darkroom, made contact sheets and then spent many more hours printing and spotting. So this brings us to the digital age where you can - with only a few pieces of gear you likely already own - dig out all those old negatives and slides and share them with the world, probably for the first time. Equipment used: DSLR, macro lens, diffused light source, tripod and light stand(s), film holder, clamps and photo processing software. 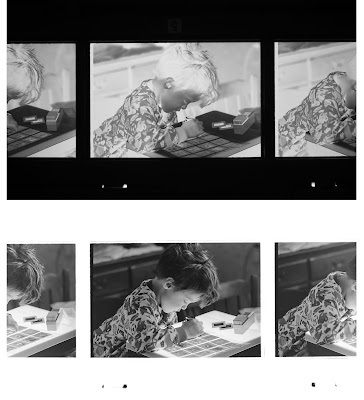 Follow these few easy steps and techniques and you will think you are back in the darkroom, minus the smell of Dektol. 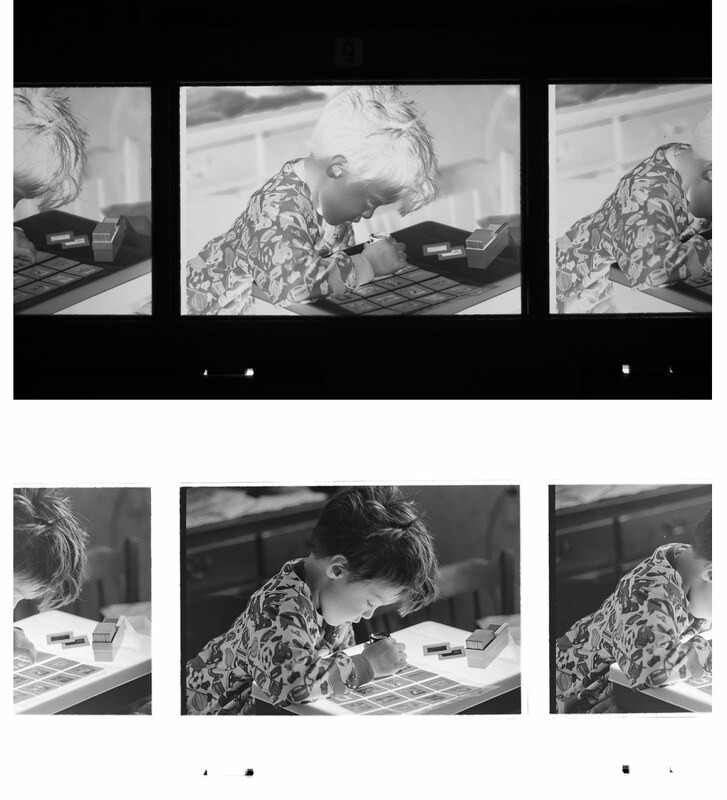 And staying with the darkroom theme, just think of the light source as the enlarger head, the film carrier would serve the same function and the camera replaces the easel which held the photographic paper. 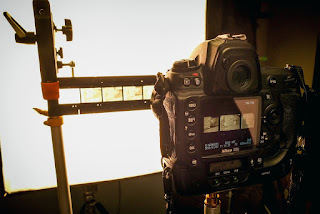 For the light source I used a 36x36 inch softbox with a continuous light source inside. 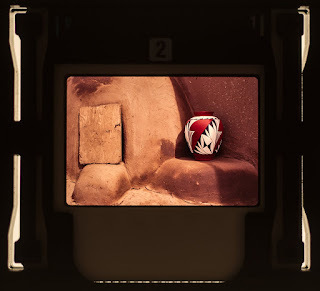 I then positioned the film about a foot in front and centered on the light. 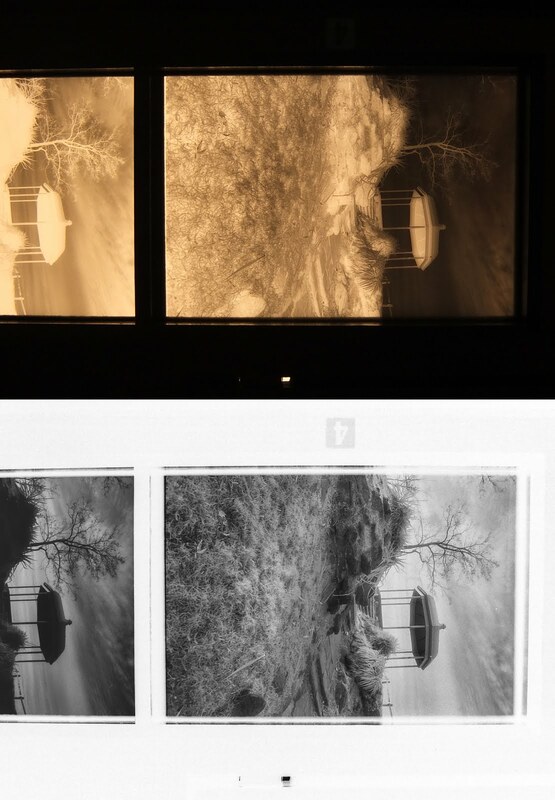 To hold the negatives/slides, I used old film holders from my no longer operational Minolta digital film scanner. 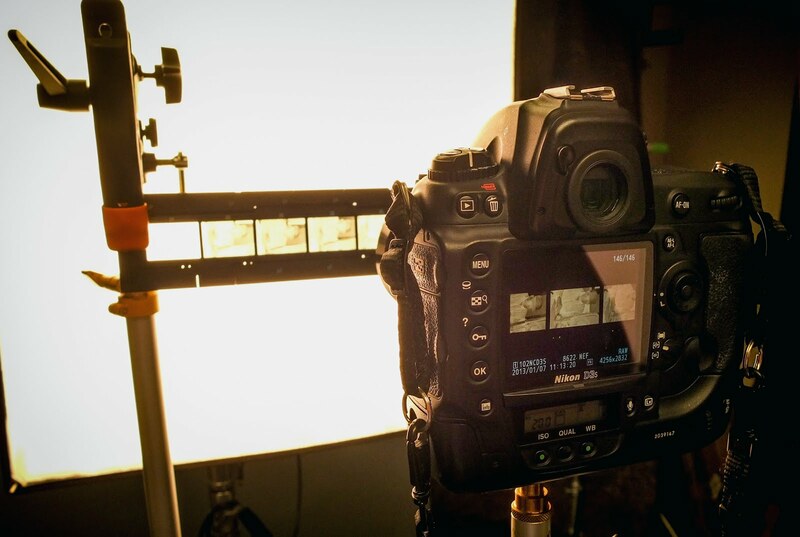 I attached the film holder to a clamp and bracket which were then attached to a light stand. I used an old manual 55mm Nikor Micro lens attached to a Nikon D3S and moved the camera in as close to the film holder as a could and still focus. I set the cameras ISO to 200, shutter speed to 800, f-stop at 11. I captured the images in the raw format using a custom white balance. Initially I bracketed a few stops on either side of f-11, but did not notice any significant difference. It's as simple as inverting the tone curve. Original photo 1994 on Kodak T-MAX 400. 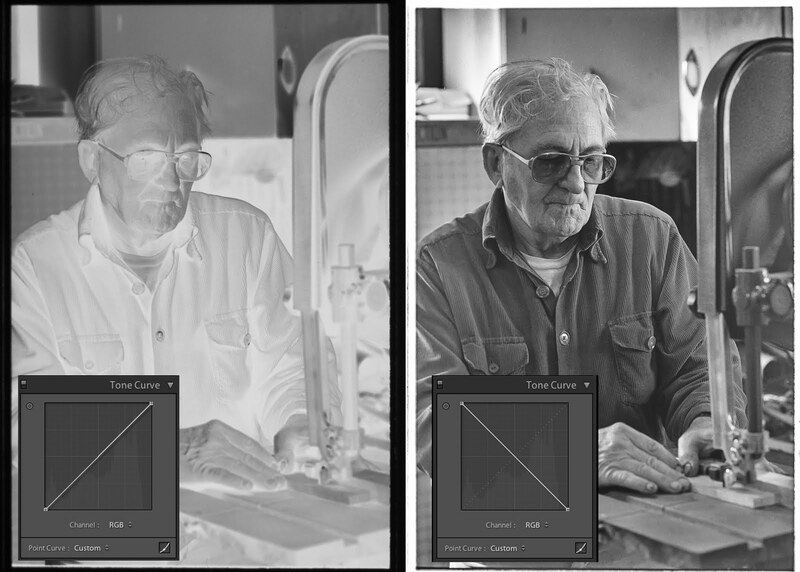 In order to convert the black and white and color negatives into positives, you need to flip the tone curve as shown in the photo above. In the case of B&W negatives, once the curve is flipped you will find that the results are pretty close to perfect, especially if your original exposures were correct and the negatives have good density. I did make some fine adjustments to the shadows and highlights. In the case of color images it did take a little longer to adjust since sometimes the color shifted. 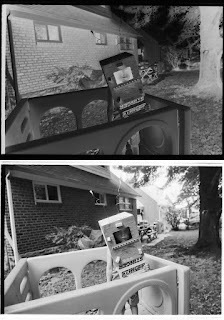 I found the quickest way to get close with color negatives after flipping the tone curve was set a white and black point. Original photo 1997 on Fujicolor Press 800 color negative film. 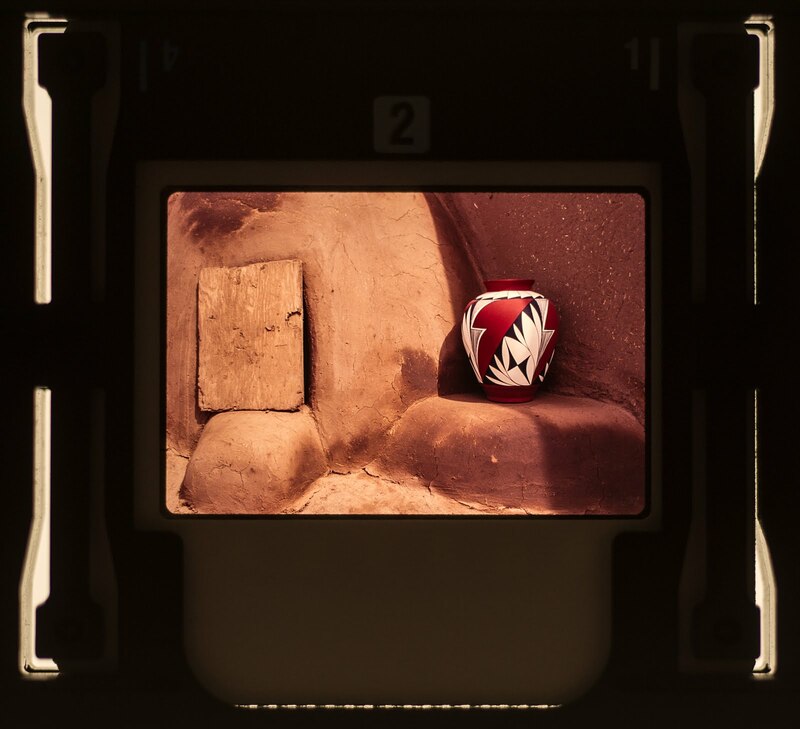 Since slide or transparency film is already a positive, you are done with the exception of some minor color corrections. You may have to open up the shadows and reduce the contrast a bit, but again with Lightroom or Photoshop this is a breeze. Original photo shot in 1990 on a Kodachrome 200 transparency and cropped to retain the film holder. This really was easy to do and I'm having a blast looking back and sharing images I made over 25 years ago. Probably the most time you will spend on this project is getting caught up in looking back through the years of images and the memories that are associated with them. Keep a can of dust off handy as well, but spotting is a whole lot easier now using Photoshop or Lightroom. A photo of my son from 1994 shot on Ilford HP5 Plus in our backyard that I had forgotten about. A great tutorial along with many other scanning hardware options is available at www. shuta.org. UPDATE: I copied a negative using my Fujifilm X10 compact camera and had acceptable results. Photo taken behind the Philadelphia Museum of Art on Kodak High-Speed Infrared film. The setup was the same. Camera was set to manual with an ISO of 200, shutter speed of 400, and a f-stop of 5.6. I used the super macro setting on this camera which enabled me to get within inches of the negative. I noticed some distortion which was not present when using a DSLR, but otherwise the results were satisfactory.